Vilnius that get some of the highest ratings from foreign travellers. 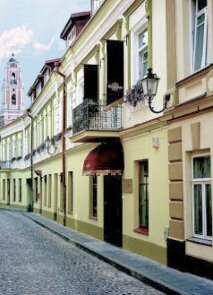 People looking for some exclusive hotel in Vilnius to stay most probably will find this small, luxury boutique hotel a charming place. The private hotel is located on a quiet cobblestone street of the Old Town yet just a few minutes walk from the city hall and other attractions. 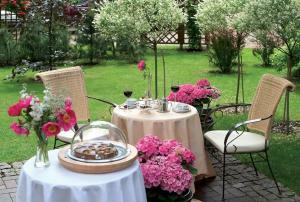 The hotel also has its own idyllic inner yard with flowers and a small fountain. 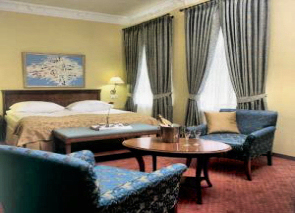 The hotel’s rooms are tastefully designed to create an old-fashioned elegance and somewhat aristocratic ambiance. 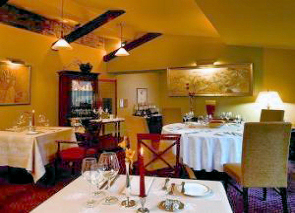 The hotel is decorated with a lot of attention to detail using antiques, original paintings on the walls and plush carpeting. The owners had all the furniture made in Italy. 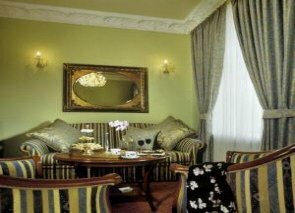 The rooms come with fluffy feather duvets and 5 piece en-suite bathrooms. When you book the hotel note that some rooms look out onto the hotel’s garden while others face the street and some church towers. The 20 beautifully appointed hotel rooms include deluxe suites, lady’s suite, single, double and business class rooms, a bridal room and superior rooms. Complete with the facilities of modern life including Internet access, satellite TV, deposit box, minibar in every room, and self regulating heating systems. Hotel serves a delicious breakfast. Other services include laundry and valet service, free parking (reservation is needed), massage and some beauty treatments. 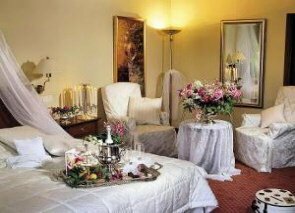 The hotel staff is attentive to their guests’ needs as they have an objective to make you feel almost at home. Located in the winter garden, the hotel’s intimate restaurant La Pergola is one of the leading restaurants in Vilnius, offering high quality gourmet dishes of European cuisine. They also offer a big selection of wines. In summer time La Pergola offers a beautiful terrace, which is an ideal place to have lunch or dinner and enjoy a glass of wine. Family friendly Pets are allowed on request. At no extra charge. If you wish to read other people’s reviews who stayed at the Grotthuss Hotel, check out room rates and available booking dates, click on the link below.